Scanbooster comes with many different organs which you can scan - just like with a real device. 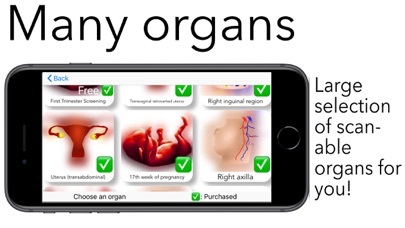 Just move your device to perform scans. 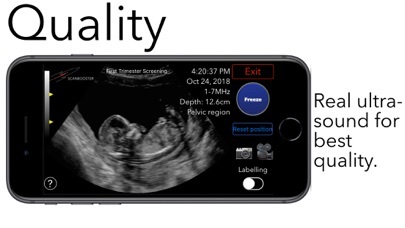 If you have both iPhone and iPad you can use your iPhone as a virtual ultrasound probe to control Scanbooster on your iPad. Just download the additional Scanbooster Control App! Features: -Easy navigation: Labelling of many structures inside every organ/volume available. If you ever get lost, just turn on labelling to see every structure colored. -Innovative learning modes: With our different learning modes performing a ultrasound scan becomes very simple. Scanbooster will show you various stats about your learning progress. That way you'll always keep track of your progress. -Scanning like the real thing: With the optional Scanbooster Control App on your iPhone scanning will feel almost like the real thing. Install it on your iPhone to control Scanbooster on your iPad. On newer devices realScan functionality supports all movements. You can move your iPhone back and forth, left and right, turn it, tilt it and so on. All movements are then sent to your iPad with a very fast Bluetooth connection. 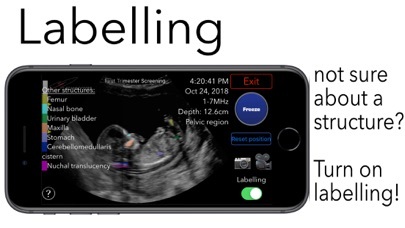 Your iPhone will be transformed into your virtual ultrasound probe. Like this you'll feel as if your patient was right in front of you! 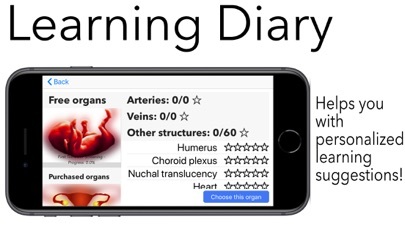 -Free lifetime updates for all volumes/organs: If we add new features to any organ you can download it right away - for free! -Many options and settings: Scanbooster has many options and settings - just like a real ultrasound machine. You can change brightness, contrast, zoom, depth,...and many more. We placed high importance on making Scanbooster feel a little like a real device. That way the transition will become much easier for you when you finally perform your examinations with real patients and devices. This is an excellent idea. I however think the image quality and resolution has some room for improvements to be made. I have a request for an android companion app. I like so many people have an android phone along with an ipad. I would love to have the ability to control this app with my android phone. Another request would be to add an option for touch controls in addition to the tilt and iphone control. Please also work to improve the picture quality which is not bad as it is but i am sure much higher quality and resolution images can be used. Thanks. It’s a great app you will not be disappointed. I downloaded this app last month before my abdomen final because I needed to review some anatomy. They give you a free exam (first trimester screening in my case) which was very helpful and I really learned some new stuff, so I decided to PURCHASE the liver exam. I like how the app guides you to find the answer in case you don’t know it. It helped me, and I was thinking about buying more exams, BUT for some reason I can’t go back to the liver exam which I had previously purchased. It is locked! And asking me to buy it again! Waste of money!